Michael E Ruge is a successful entrepreneur, expert negotiator and dynamic community leader. As founder of several enterprises, his strong, interpersonal leadership style has positively influenced the bottom line of many companies. Michael facilitates the development and growth of junior corporations worldwide through his vision, support and mentor management. An inveterate traveler, Michael jaunts around the world to benefit various Charity causes. 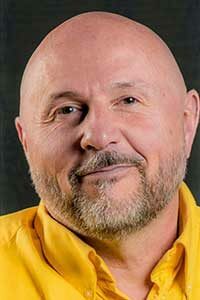 Michael owns and operates All Ways Solutions, working as an a Eco-Advisor and Business Consultant from his lakeside home on Vancouver Island, BC, Canada. 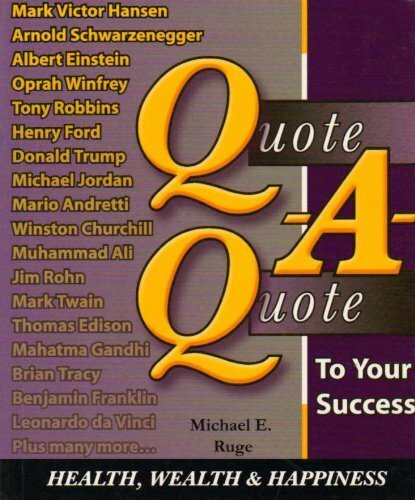 Michael has been collecting quotes for several lifetimes (well, at least one!) and finally decided to share his collection with the world. Finally! A book of useful quotations about Health, Wealth and Happiness – big enough to make a difference… yet small enough to tuck into your purse or pocket. 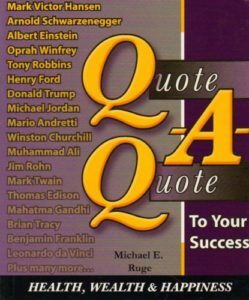 The powerful quotations in this book will encourage you to: Create a successful mindset with determination and ease. Recognize that the essence of your success rests in what you believe. Conquer anxiety and uncertainty. Rekindle positive energy in your mind, body and spirit Develop barrier-free thinking Transform the way you experience life Priceless advice from luminaries such as Mark Victor Hansen Arnold Swarzenegger, Albert Einstein, Oprah Winfrey, Tony Robbins, Henry Ford, Donald Trump, Michael Jordan, Mario Andretti, Winston Churchill, Muhammad Ali, Jim Rohn, Mark Twain, Thomas Edison, Mahatma Gandhi, Brian Tracy, Benjamin Franklin, Leonardo da Vinci, Eleanor Roosevelt, Miss Piggy, Ross Perto, Sam Walton, Michael Moore, Dr. Seuss, James Dean, Mel Gibson, Billy Graham and many more. Learn health, wealth and happiness from the leaders themselves. Discover the secrets of true meaning of value and wealth that were once kept secret by the hyper-wealthy. In this prophetic new book, bestselling author and goldsmith’s son Michael Ruge unravels the mysteries that tie together people, the economy, and gold in a triangle of lust, power, and wealth. With the global economy on the brink of collapse, will a new form of GOLD currency emerge? • The next financial collapse will be on a much larger and irreversible scale than the recession of 2008. • It won’t be long before there will be panic gold buying and only central banks, hedge funds, and other big players will be able to buy any gold at all. • Several very probable solutions and outcomes to the growing economic bubble of today. 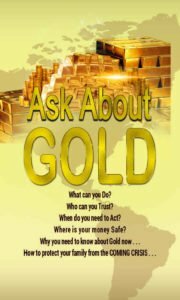 • How to tell apart gold with little to no value from the most valuable type of gold, where to find it, and what to do with it in order to protect your legacy. 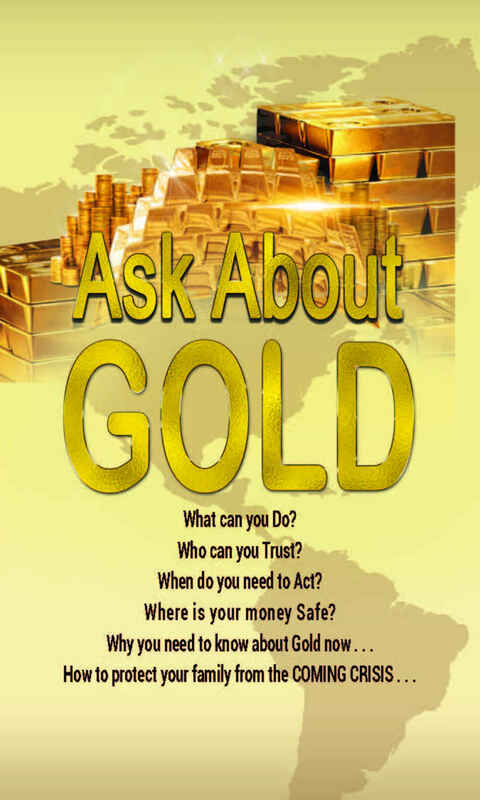 Find out why you need to act today in order to protect your financial future in Ask About Gold.